Heeft u een vraag voor Pensao Tin Lai Hotel? Het Pensao Tin Lai Hotel in Macau ligt op een gunstige locatie voor reizigers met een interesse in nachtleven, bezichtiging van bezienswaardigheden, casino's en is bij uitstek geschikt om te ontsnappen aan de hectiek van alledag. Het hotel ligt slechts 1. Km van het stadscentrum: lokale bezienswaardigheden zijn dus snel te bereiken. Dankzij de praktische locatie liggen alle belangrijke trekpleisters in de buurt van het hotel. Het Pensao Tin Lai Hotel biedt tevens vele faciliteiten om uw verblijf in Macau zo aangenaam mogelijk te maken. Gasten kunnen gebruikmaken van hotelfaciliteiten als gratis wi-fi in alle kamers, 24-uur beveiliging, dagelijkse schoonmaak, 24-uur receptie, bagageopslag. Hotelkamers zijn zorgvuldig ingericht om het hoogste niveau van comfort te bereiken, met internet (draadloos), draadloos internet (gratis), airconditioning, televisie, douche in iedere kamer. Daarnaast garanderen de talrijke recreatieve mogelijkheden dat u zich tijdens uw verblijf kunt vermaken in het hotel. Geniet van ongeëvenaarde dienstverlening en de prestigieuze uitstraling van het Pensao Tin Lai Hotel. Went there with my parents. A dad who is suffering from knee pain, I did not expect to have a high staircase to climb for my dad. The fron desk clerk do Not speak english so, it was quite difficult to communicate. Difficult to locate the hotel. Chose this hotel as a last resort as we have no other choice for a cheaper hotel it was then a last minute booking. So better yet do an advance booking for your trip and for you to enjoy every single day. Not much value for money. The frontdesk was very rude and doesn't understand English. We advised for an early check in but when we arrived we were asked to leave like dogs because she was lying on her bed behind the frontdesk. Very unprofessional. We were trying to communicate but she doesn't understand English that made it very hard for both parties. She was gesturing us to go out, pointing at the clock and check-in time while we were showing our booking receipt trying to explain ouselves. The best she did was to allow us to leave our bag in the corner while she goes back to her bed giving an impression that we were so much of a bother. If only she understood English as advertised in their page as languages spoken then everything could have went smoothly. When we went back according to the advised check-in time, she greeted us with a very sour face. She asked us to give 100 dollars and then again, we didn't understand what she was asking from us. She was raising her voice on us while we were showing her our fully paid receipt. She then turned her back frustrated as she handed us a card board with an english translation that it was for the key deposit. She totally ruined our stay in Macau making us look very stupid in an foreign place which we never deserved. We are for a vacation, we are tourist and we are educated that is why we are never going to stoop down to her level. I will never ever book in this place again. It is also very far from the airport. The place, rate, wifi and facilities are reasonably acceptable but I would rather pay higher than get my vacation ruined because of a rude and uneducated front desk staff. The staff able to speak mandarin and helpful, always at reception counter ever late night. The hotel provided no lift as it is budgeted stay and you need carry all your belonging/luagage for climb staircage. The hotel quite near Dai San Ba, you may reach by foot. We had a hard time finding this hotel and when we did, the reception is on the 2nd floor with the long stairs. Good thing they let us checked in early at around 10am so we had time to rest before heading to The Ruins. We were assigned a room at the top floor, 4 floors above the reception. Just imagine when you're dead tired and your still have to climb 4 floors to get to your room. ugh! the worst! The staff doesn't speak english and was a bit rude when we had the toilet door fixed because it automatically locked. The aircon took sometime to cool the room and the control was in chinese. Comfortable beds. Overall, we don't recommend this hotel. Just pay a little more for a modest hotel in macau. This doesn't deserve the 6.7 rating. I'd give it a 2 or 3. I really enjoyed the room here. The beds were extremely comfortable. Unfortunately, none of the staff spoke any English at all but as long as you have a confirmation of your booking, it's all right. A big pricey for what it is but that's just Macau! 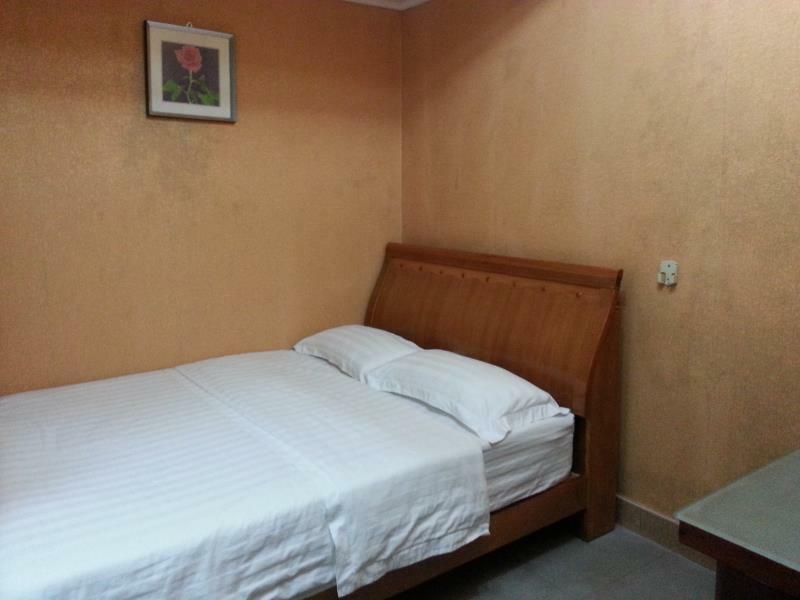 Good price for such room.. clean and neat, near downtown of Macau City.. a little bit difficult to find the hotel location.. they don't provide mineral water as compliment.. you can equip your own "minibar", seven eleven and local supermarket nearby.. Location is quite strategic as it near to tourist spot, the receptionist very friendly and i think worth to stay. low priced hotel,clean and nice staff.. The hotel is perfectly okay. The challenge is the inability of the staff to speak English. Old hotel is recent renovated. Maintained its vintage feeling which was great, similar to those in the movies. 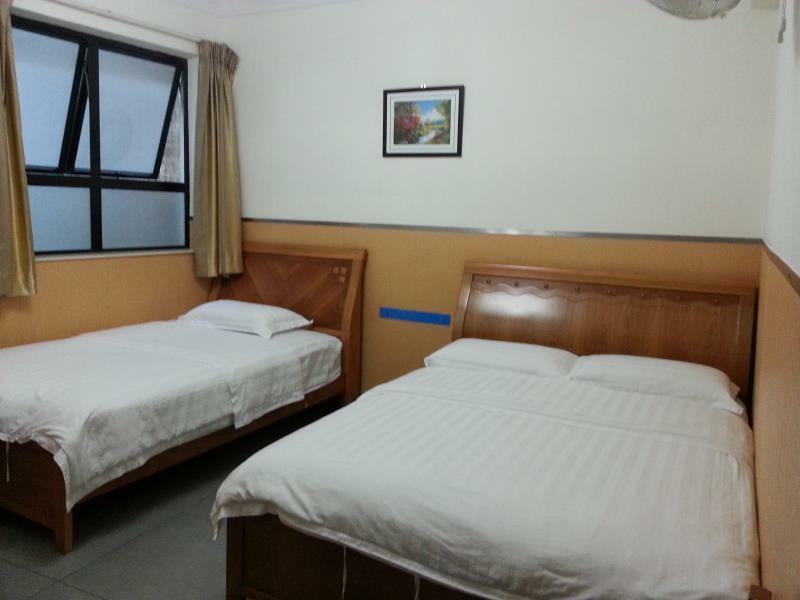 One of the cheaper accommodations in Macau but the room was clean and nice, with good air on and hot shower. It's in a great location. Within walking distance from St Paul's Ruins and Senado Square. Staff can only speak mandarin but they were really nice and helpful. Overall it was a great stay and I recommend it to any traveler on a budget. The hotel is quite difficult to find, also no elevators and no english speaking staff. But, it was clean and quiet, decent location (10-15 minutes walk to the ruins). Stay here if you need just a place to sleep and you don't have a lot of luggage. The hotel is a little small, and quite hard to locate if you dont have a gps, UNLESS you are taking a taxi. Room is spacious and good, and you need to climb up the stairs as there's no elevator. Ruins of St Paul is just a stone throw away. Location is good. Many eateries downstairs. Overall the hotel itself is fine, in terms of cleanliness and comfort, although a bit pricey (like all accommodations in Macau. However, the proprietor made this a place that I would never stay again, nor would I recommend to any other visitor. She was extremely rude to us. We had a three-person room, and initally intended for only three people to stay there. However, very late at night, an old friend of ours who we'd met up with in Macau had no accommodation, so we figured, hey, just crash on the floor in our room, should be no big deal. When checkout time came, the proprietor was furious that we had let an extra person stay in the room, and no matter how long we discussed the situation, she was intent on keeping our 100HKD deposit. She herself is a mainlander and in mainland China, nobody would ever mind this kind of thing. She even threatened to fine us, even though we didn't impact her business's normal operation in any way. Don't stay here, she might find an excuse to keep your deposit, too. Clean room, Clean sheets and restroom. safe hotel. We only stayed for a night. Room is clean. Only issue we had was the building does not have an elevator. Our room was on the 5th floor and we had to carry our stuff to our room. We had quite a hard time speaking to the receptionist. They should hire someone who could speak english so guest will not have a hard time checking in and get assistance. The hotel is located near lots of shops and away from the more tourist-focussed casino areas. 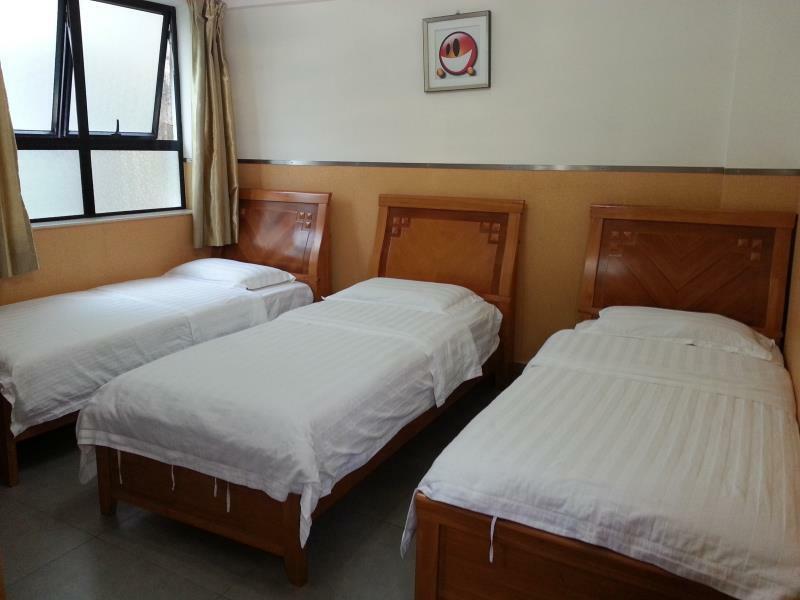 The staff speak English, Cantonese and Mandarin, and were friendly and helpful. The room was small but clean, and the bathroom and AC were both very good.